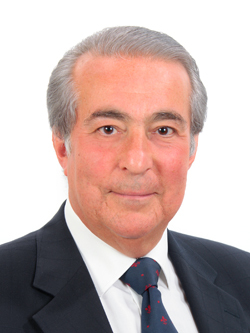 Laurence Brass is a serving Judge and former Vice President/Treasurer of the Board of Deputies. He is currently a trustee of JCORE (Jewish Council for Racial Equality) and the Wyndham Place Charlemagne Trust (a pan-European interfaith Trust). He contested five General Elections as a Parliamentary Candidate and was an elected Councillor on Hertsmere Borough Council for ten years. He is a Council member of “Neve Shalom/Wahat al-Salam” (Oasis of Peace) an international community jointly established by Jewish and Palestinian Arab citizens of Israel. He was Chairman of Watford Racial Equality Council (2005-2008) and is Founder and Chairman of Bushey Interfaith Forum. He writes and broadcasts on issues relating to community cohesion.